Mary Shelley tells the intimate story of her elopement with Percy Shelley and the unrevealed origins of Frankenstein. HOLLYWOOD, Calif. - July 16, 2018 - PRLog -- The ground-breaking novel on the life of Frankenstein author Mary Shelley, "The Secret Memoirs of Mary Shelley: The Frankenstein Diaries -The Romantics", by Michael January and Mary Wollstonecraft Shelley is released in Audiobook through Audible and ITunes. 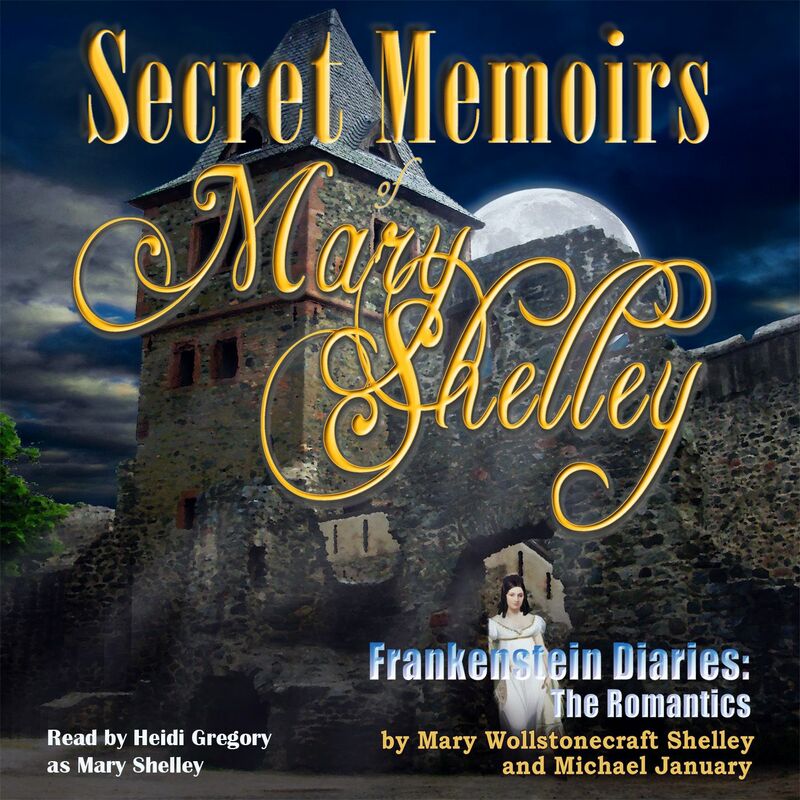 Narrated by Heidi Gregory as the voice of Mary Shelley. "The Secret Memoirs of Mary Shelley" is an atmospheric personal account of the young Mary Godwin's love affair and elopement with poet Percy Bysshe Shelley and their 1814 escape from her family's publishing house in London, running away to Paris, Switzerland and Germany with Mary's step-sister Claire Clairmont, told in the form of a rediscovered lost memoir in a unique mix of biography and autobiography, blending Mary Shelley's own journals and speculative fiction. According to a review from the Historical Novel Society ""An entertaining 'collaboration', exhaustively researched, skillfully adapted...long on memorable characters that will make readers see the seminal classic Frankenstein in a new light." "I was first attracted to this book because of a love for history and a fascination with Frankenstein's young female author," says narrator Gregory, "it was a pleasure bringing her to life". Her previous audiobooks of classics, "Aesops Fables, "The Secret Garden" and "the Yellow Wallpaper" have garnered acclaim and her narration of Grimm's Fairy Tales are closely related to Mary Shelley's connection to many famousLondon publishing figures of the Regency age. "I was so impressed with Heidi's vocal tone for Mary," says author Michael January, "she really draws you in to her intimate story and takes you on this unexpected and surprising journey into this mostly unexplored world and part of her life." Michael January is a screenwriter and travel author. His "Favorite Castles" book series is in its fifth volume edition. His next historical novel "Aces", an epic love story of American pilots in the Battle Of Britain of WWII is soon to be released. Winged Lion Publications Releases "Aces: A Novel of Pilots in WWII"
Winged Lion Publications to Release “Frankenstein Diaries: The Romantics - Secret Memoirs of Mary Shelley"
Winged Lion Publications and Prestbury Books Announce Release Of "Favorite Castles of Switzerland"